Feds Want To Speed Up Medicare Appeals, But Backlog Will Still Last Years : Shots - Health News A Department of Health and Human Services proposal and an increase in funding could reduce the backlog in appeals of denied Medicare claims by 2021, six years sooner than without the changes. The backlog of appeals of denied Medicare claims will take years to clear up even after changes proposed by the Department of Health and Human Services. 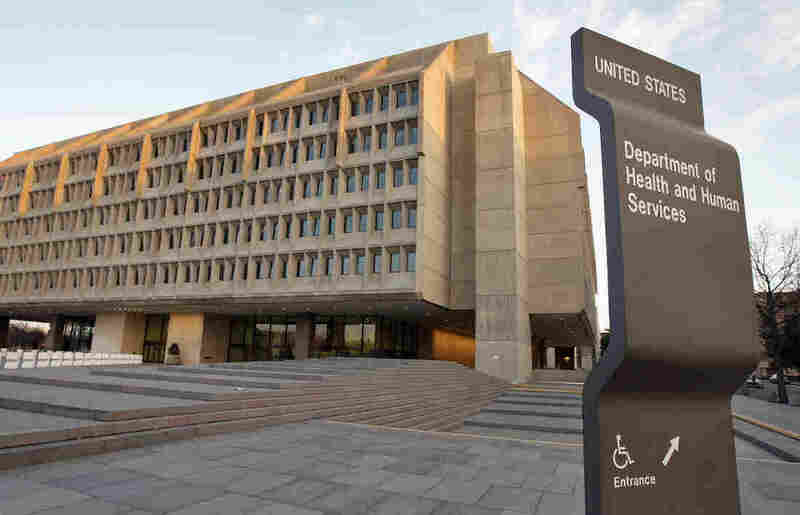 The Department of Health and Human Services Tuesday proposed key changes in the Medicare appeals process to help reduce the backlog of more than 700,000 cases involving denied claims. The measures "will help us get a leg up on this problem," said Nancy Griswold, chief law judge of the Office of Medicare Hearing and Appeals. If there weren't a single additional appeal filed and no changes in the system, it would take 11 years to eliminate the backlog, Griswold said in an interview. Her office has faced increased criticism from health care providers and beneficiary advocates lately for its inability to speed up appeals and reduce the backlog. The latest critique came earlier in June in an investigation from the Government Accountability Office. This latest effort (summarized here) still falls short of what is needed, said Tom Nickels, executive vice president at the American Hospital Association. "We are deeply disappointed that HHS has not made more progress in addressing the delays despite the more than two years since the delays began," he said. Revise how the minimum amount necessary to lodge an appeal is determined. Under current rules, an appeal must involve payment of at least $150, based on the amount the provider charged. HHS proposes using Medicare's allowed amount instead, which tends to be lower, and that could reduce the number of claims that could be appealed. Although advocates have sought changes to speed up the appeal process, Alice Bers, an attorney at the Center for Medicare Advocacy, was skeptical about some of the proposals. The effort to set up a system of precedents, she said, "could restrict coverage for needed items and benefits for seniors that they are entitled to by law." And the change in calculating the minimal amounts "could make it harder for beneficiaries to reach that threshold," said Bers. It might not sound like a lot of money, Bers said, "but for an elderly woman living on Social Security that's several meals or copays for medicine." According to the GAO study, audit-related appeals decided at the administrative law judge stage — the third level of appeals — increased thirty-sevenfold from 2010 through 2014, compared with only 1.5 times for appeals of other kinds of claims. But Griswold said that currently only about a third of the pending cases at this stage involved recovery audit contractors, after settlements were reached with hospitals that agreed to accept partial payment in return for withdrawing more than 220,000 cases. The proposed changes will be posted on the Federal Register website and open for comments through Aug. 29. Kaiser Health News is an editorially independent news service that is part of the nonpartisan Henry J. Kaiser Family Foundation.